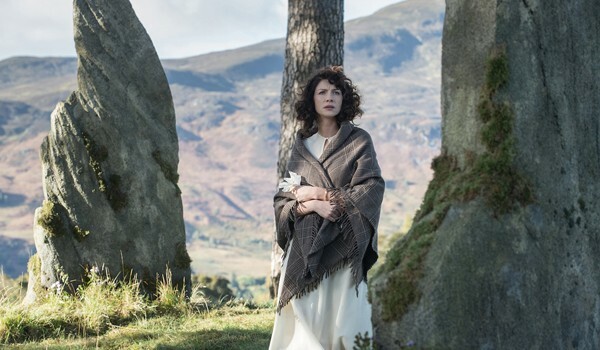 Frock Flicks Birthday: Outlander Controversy Flashback! By The Frock Flicks Team on August 24, 2015 in Tangential but Interesting! Happy Birthday to Us! Yep, Frock Flicks, the blog and social media enterprise, is one year old this week (though the podcast has been around since 2007). My, how time flies — it seems like just yesterday we were yanking Terry Dresbach’s chain about hygiene in the 18th-century … well yeah, that was our first big post, and it remains one of our most popular. So let’s take a little trip back in time and see where we started and how we eventually made amends with the costume designer of Outlander. It started when Dresbach posted in her blog about her very first designs for Claire in 18th-century Scotland on the Starz series. Some of her descriptions of the costumes, and more importantly, how people bathed and dealt with bodily functions in the 18th century didn’t sound all that historically accurate. Her blog post made its way around social media, where many historical reenactors commented directly and got into fairly heated arguments with Ms. Dresbach. 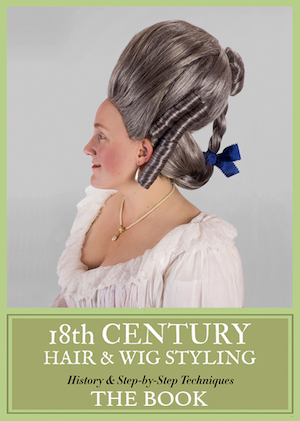 And then, Frock Flicks had our say in a post titled The Gross 18th Century. Which engendered even more comments. Let it never be said that we shy away from controversy! Look, we’re not out to get Terry Dresbach or any one costume designer. As we say in our Point of View series, it’s not personal, it’s about pointing out the facts. The gist of Frock Flicks is that we enjoy history and we enjoy movies and TV shows about history. So when we see things, especially costumes, in those historical movies and shows that aren’t totally historical, we’re going to point it out. The hygiene issue was a bit of a digression because it was a topic the costume designer brought up on her blog, but our reasoning was the same. Historical misinformation drives us nuts. We did kiss and make up with Ms. Dresbach eight months later, thanks to an excellent and equally popular guest post, The Real Deal on Tartan, Kilts, and Outlander Costumes, by Brenna Barks, an expert on Scottish dress and 18th-century fashion. She showed how Outlander got things right in regards to tartan and kilts in the period, and Terry enthusiastically jumped into the comments. This was a pleasant eye-opener, and one of the best things to happen on the blog. Both of these articles and comments are worth reading again. So, from controversial beginnings we rose up to being a valuable resource. At least we like to think of it that way. What about you? 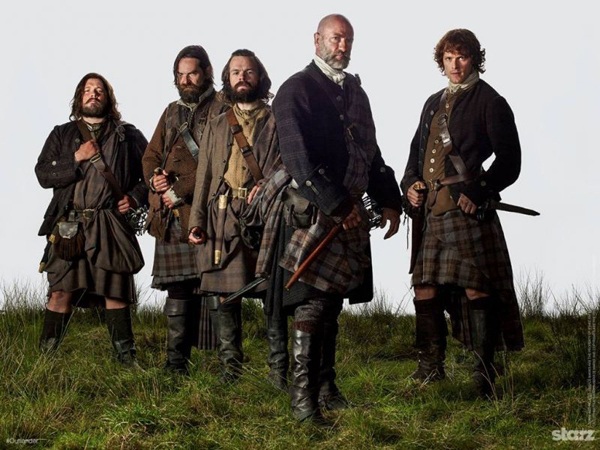 Where do you weigh in on the Outlander historical accuracy issues? I have yet to see an episode of Outlander, so I will comment more broadly. As far as I can determine, the kilt doesn’t appear in Scotland until somewhere in the 15th century, probably just the solid colour plaid wrapped around the body. One of the biggest contributors to the ‘clan tartan’ mythology were a couple of guys who went by the interesting name of ‘Sobieski-Stewart,’ who popped up in the late 18th c claiming to have samples of ‘authentic Highland clan tartans.’ And — the true national instrument of Scotland is the harp, not the bagpipe. It was the Scots who added the third drone, which gives the pipes their power, but the earlier instrument was a shepherd’s, and you can see them in Breughel and other paintings. Scottish weapons are easier. There are numerous collections, datable and verifiable, all over Scotland. And if you happen to live in or near Edinburgh, Paul Macdonald, proprietor of Macdonald Armory and master of the Macdonald Academy, where one can learn the authentic use of such weapons, can tell you a lot about them because he often is asked to restore and repair those collections. And all of this is to say nothing of Irishmen in solid-coloured kilts. Can’t comment on the costumes, I’ll take your word for it on whether something was accurate or not. The English against the Scots was wrong. According to the historians over on the IMDb Outlander board is was closer to Protestants against Catholics with Scots and English on both sides. And even that isn’t quite what the conflict was about. Kilts may not be accurate BUT I am all for kilts in ANY context because DAMN. So, I support the anachronism wholeheartedly and respectfully request more kilts in TV and movies. Please? *sigh* Moths got to my kilt, trews, and great plaid about two years ago. Damn, damn, damn! I would rather see historical accuracy in my fictional entertainment, absolutely, but tend to be more concerned that they get their historical timelines correct. Costumes for fictional characters, by necessity, deal more with explaining the characters than with historical accuracy. Costume designers who deal with fictional characters must go from 20th century, 17th century, prehistoric, and then medieval, and so on, as their jobs change, To become an expert in every one of Earth’s historic periods would take more time than a person has if they must go ahead and start making a living. If a designer has to dive into a different time period with every different entertainment industry job, then people will get their drawers in a twist over the odd anachronisms. However, if you set out to do period-accurate documentary about said time frames, then you should take more than the six weeks a costume designer is given to get thousands of people dressed accurately for an educational presentation. If an expert has valid and constructive criticisms for any costume designer, then they should contact the designer directly and quietly offer their valuable services rather than take the opportunity to slash and burn the designer in the middle of a hurricane of fabrics, feathers, lace and lacings. I’m sure we would all benefit by your involvement as a consultant in the Outlander costume department.